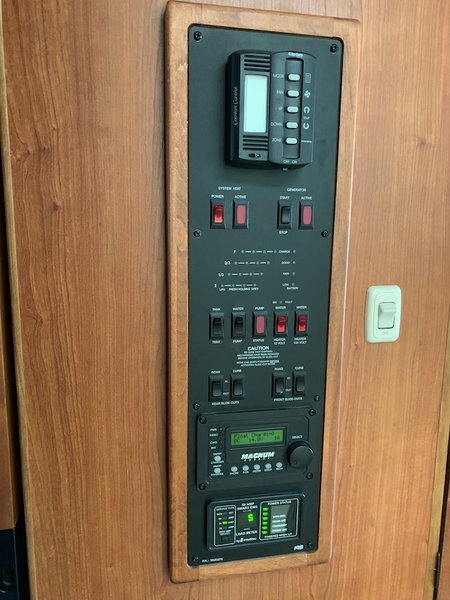 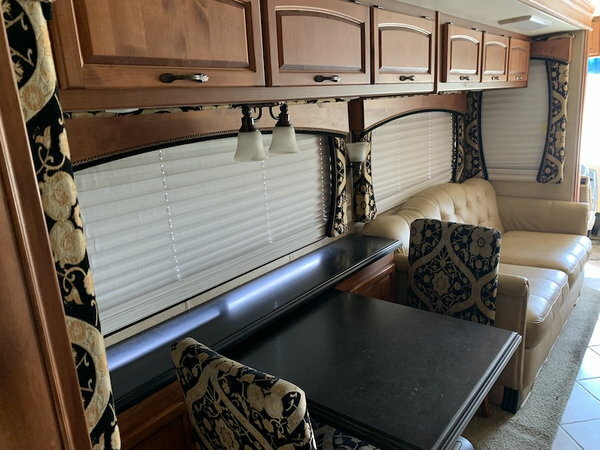 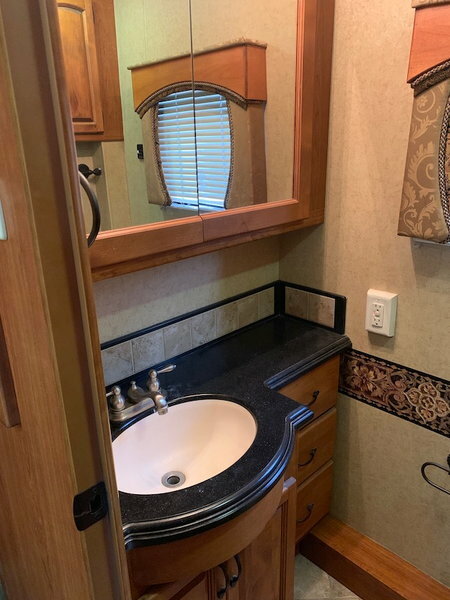 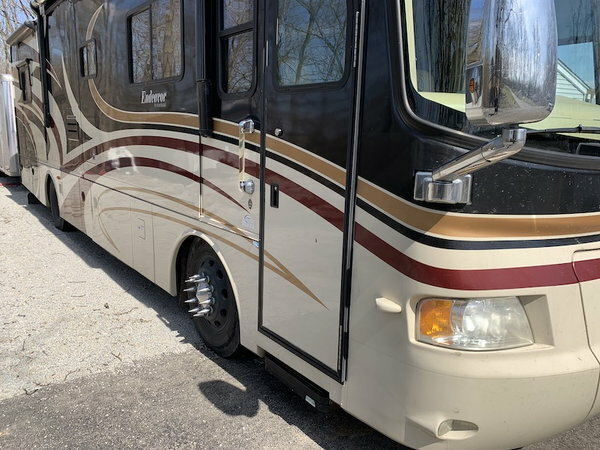 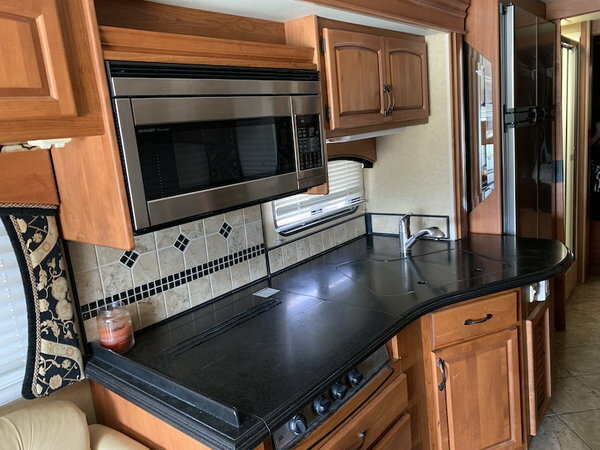 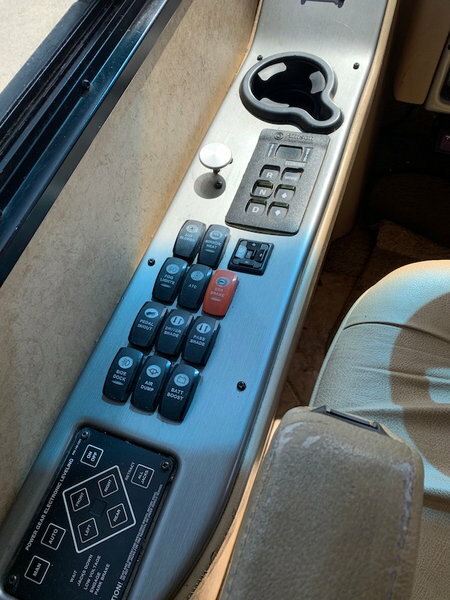 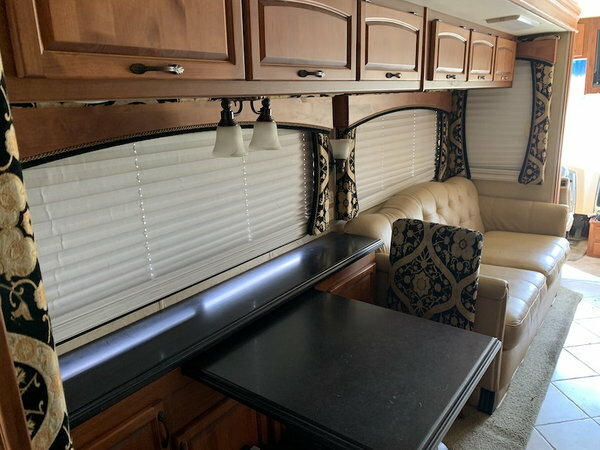 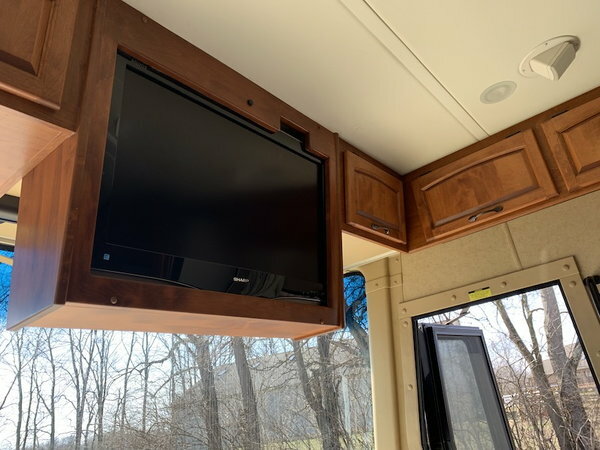 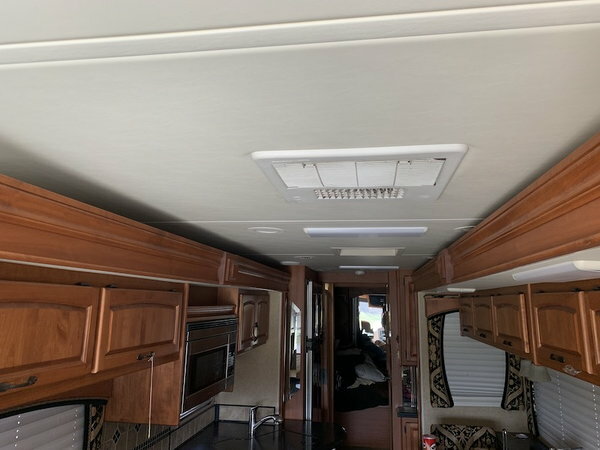 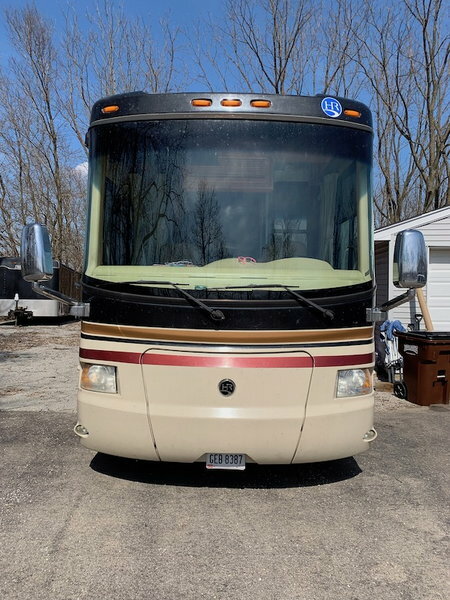 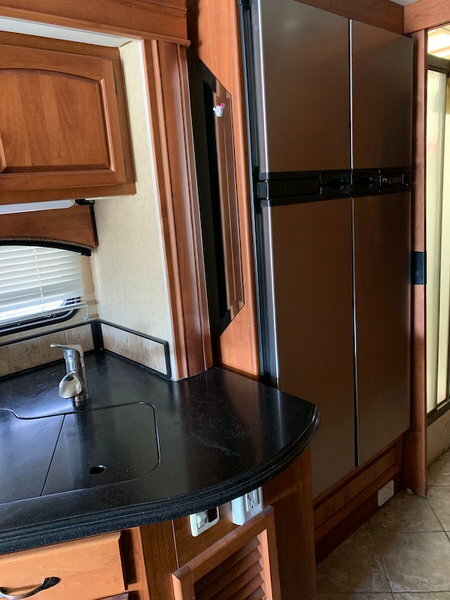 Excellent motorhome with good mileage and all of the great features you could want out of your home away from home. 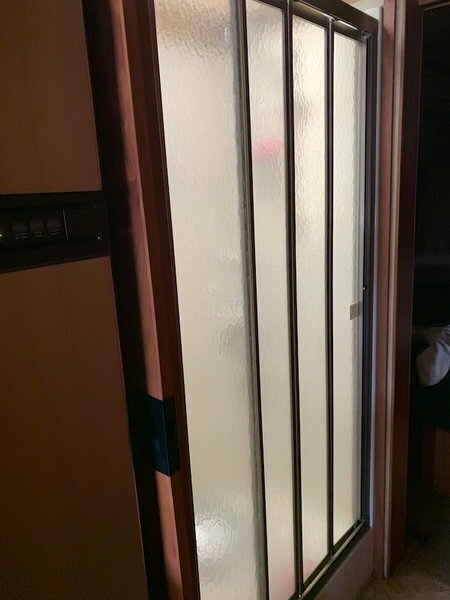 The coach feels huge inside after you put out the 4 slides with plenty of walk room when all slides are closed. 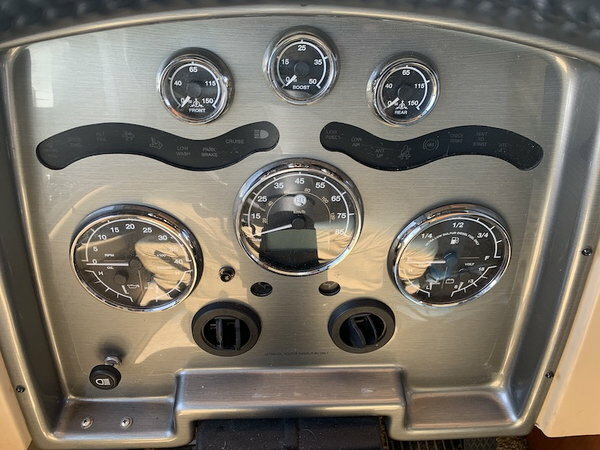 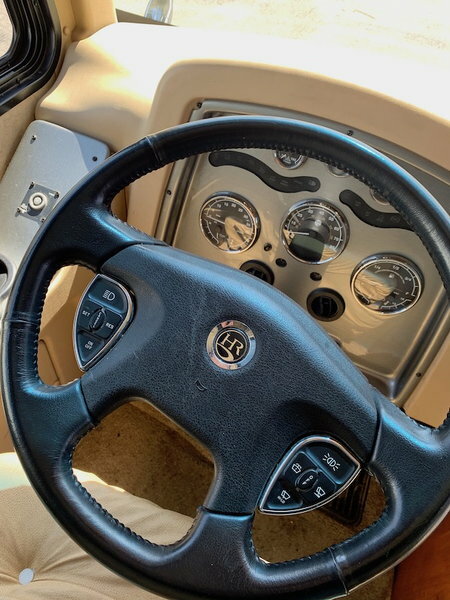 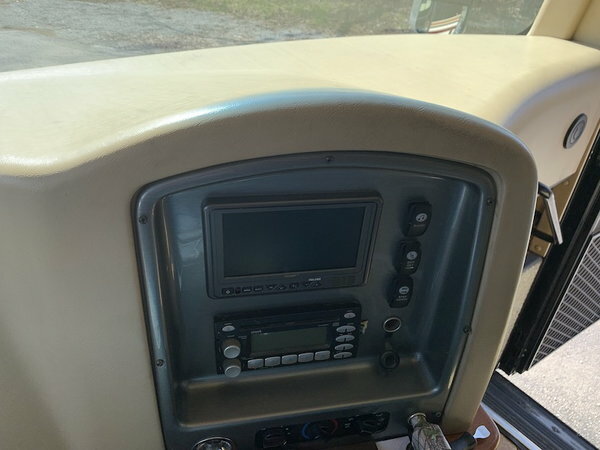 The engine is a high horsepower cummins with 400HP and a ease shifting Allison transmission you have plenty of power to get you throughout the country! 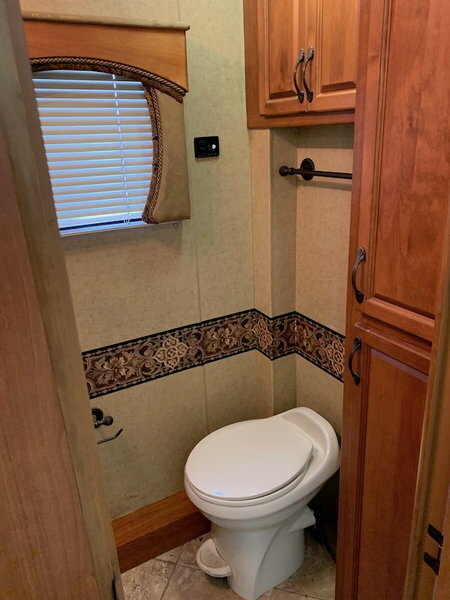 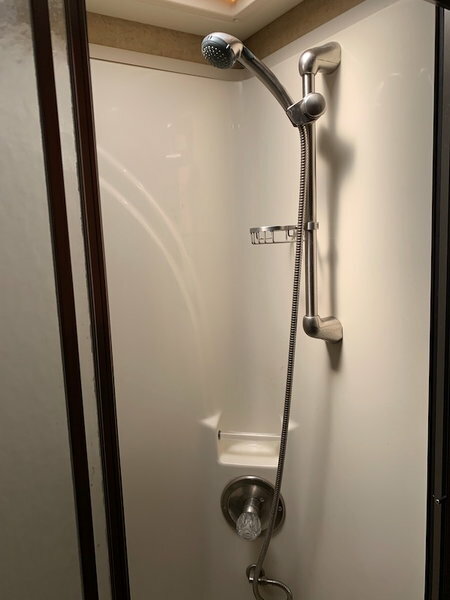 The walk through bathroom has a large shower and a separate area for the toilet and sink! 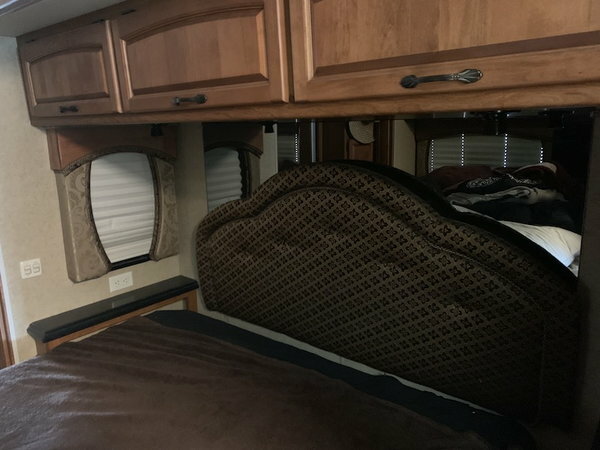 The rear bedroom features a queen sized bed along with overhead cabinets and lights. 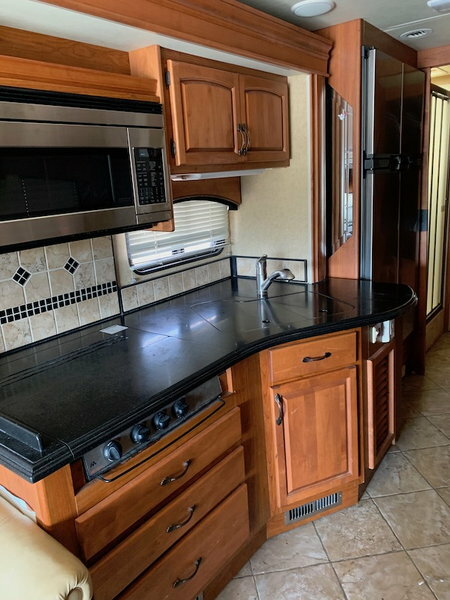 Full kitchen with convection microwave oven and stove top along with the large sink.